I know that most of you like “‘Twas the Night Before Christmas” or “How the Grinch Stole Christmas” or even the “Charlie Brown Christmas Special”. Some of you may have been lucky enough to see The Christmas Show at Rockerfeller Center (I have; it is that awesome). I enjoy all of those as well, but the following is my true way of getting into the holiday spirit. It’s also my favorite written work, ever. EVER. EVER! It inspires my style, the power and emotion in each word are evident, and it reminds me that though some things are timeless, we should cherish them as though they are not. Francis P. Church’s editorial, “Yes Virginia, There is a Santa Claus” was an immediate sensation, and went on to became one of the most famous editorials ever written. It first appeared in the The New York Sun in 1897, and was reprinted annually until 1949 when the paper went out of business. ” ‘Well, I’m just going to write The Sun and find out the real truth,’” I said to father. Her letter found its way into the hands of a veteran editor, Francis P. Church. Son of a Baptist minister, Church had covered the Civil War for The New York Times and had worked on the The New York Sun for 20 years, more recently as an anonymous editorial writer. Church, a sardonic man, had for his personal motto, “Endeavour to clear your mind of cant.” When controversal subjects had to be tackled on the editorial page, especially those dealing with theology, the assignments were usually given to Church. Hoping you all have a good day with your loved ones. Sometimes their presence is the best gift of all. I appreciate that you all enjoyed the first installment, which kept me thinking and looking for some more things that define the city, how I see it, and the way we work off each other, good or bad. Sometimes, I don’t even need to step out of my house to get a sense of the absurdity. If the 24 hour power is so good, why do I need it twice a day? When something says 24 hours, I assume it means one dose, swig, grenade or brrraaaiiinnsss. 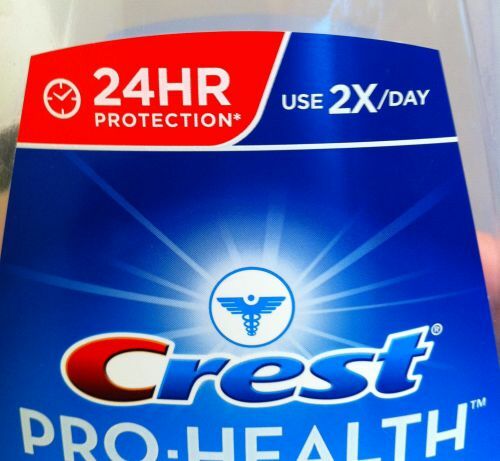 I get the idea, I just wish they had put some inferences in there, “24 hour protection IF you use it twice a day” and not just that asterisk. That might require a bigger label though, which is not very eco-friendly of me. Also they are assuming you understand that ‘twice a day’ means every 12 hours and not twice in the same hour, and yelling “DONE!” in the bathroom, which may make people think you cleared the pipes for the day (and used the spray), and are good for THAT for the next 24 hours. There’s a strip mall in the area I grew up in. It was built in the 70’s and pretty much every store has changed, along with the signs. Logos, chain stores of every product from shoes, video rentals and as you can see by Golden Krust, specialty foods. The signs USED to be generic: ‘Pharmacy’, ‘Stationary’, ‘Cleaners’, ‘Law Office’ (which actually is still there). However, ‘Pizza’ I am happy to see, still is there, old style sign and all. It brought me back to my childhood, going there at lunchtime with friends during my elementary years. I didn’t just take a photo, I went in (the pizza slice on my front page is from there). The people behind the counter were different, so maybe the family is hiring others, but that stove was exactly the same. So was the slice. It really brought me back and is still what I gauge a slice by. The bathroom wall of a bar/club in the NYC. Won’t say which one, since really, this could be any and every of the thousand. Wise words, proclamations, and affirmations are scrawled everywhere, even in spots some would consider unreachable. This one stood out for me. Everyone truly is a winner. A corner in lower NYC/Chinatown. Get the message? Good. Somebody loves ya. Somebody besides Ms. LV. Always good to know.